This is a recipe from Sue of The View from The Great Island. It’s a fruit vinegar that is healthy, thick and has a vibrant taste. It’s made with a raspberry puree that intensifies the flavor. Quick and easy to make. Mix with a little oil for a salad dressing or drizzle on meats, fish or vegetables. It can also be used as a marinade. Great recipe! You can easily make this with other berries you’ve grown in your garden this year. 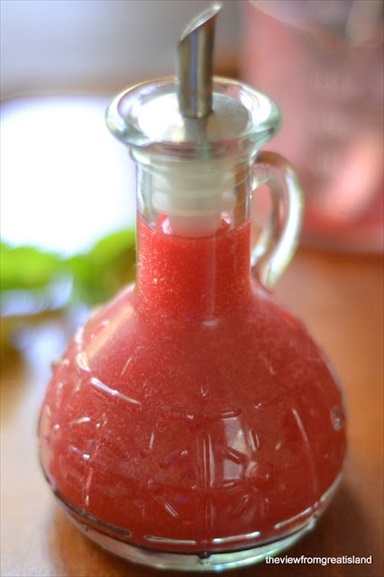 Click on the Fresh Homemade Raspberry Vinegar link below to see the complete recipe.